Volunteers and sponsors made this all happen! 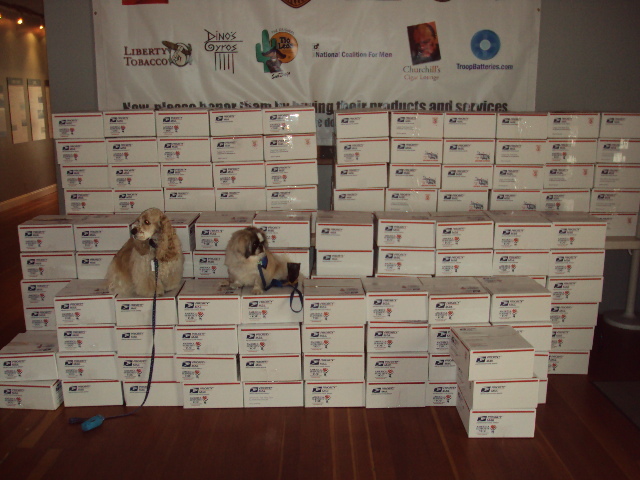 Amongst other activities, the nonprofit organization Honoring Our Troops packs care packages for our troops. Three NCFM members are directly involved with Honoring Our Troops, two of who are key to the organizations success (Rich and Allan). The other is me. They let me help with things not to complicated. 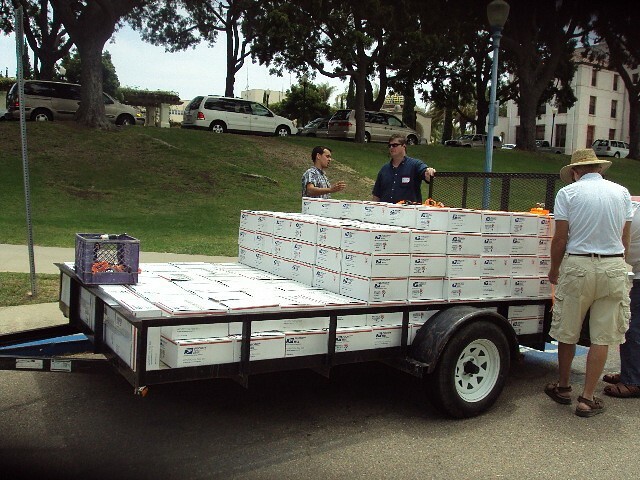 Honoring Our Troops staff spent months coordinating for its first care package event which took place July 30, 2011 in the San Diego Veteran’s Museum and Memorial. 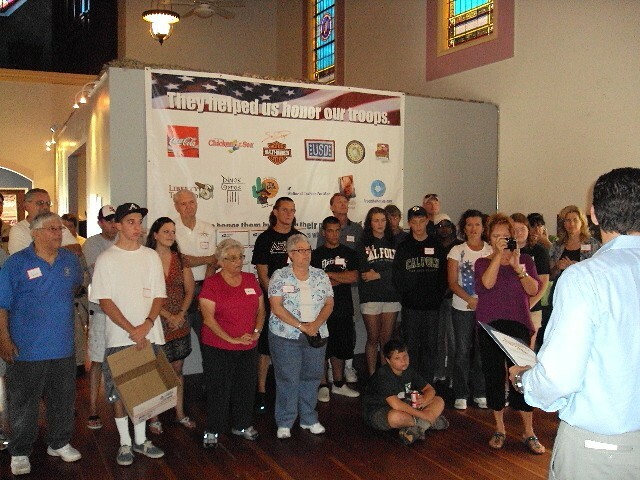 Between 60 and 80 volunteers helped pack over 400 care packages for troops in Afghanistan! 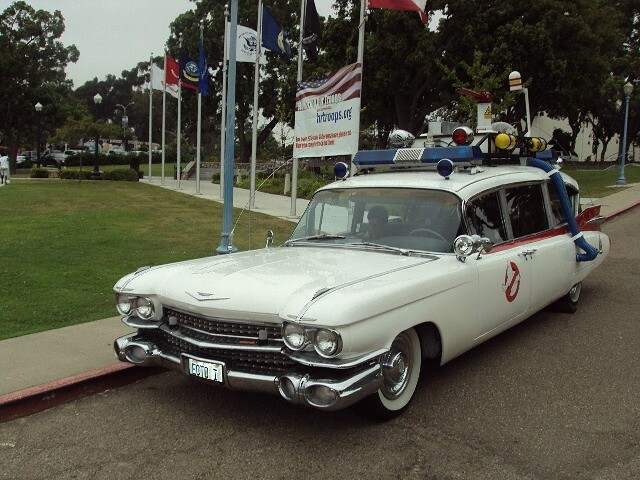 Ghost Busters “Echo 1” even showed up and helped with some of the boxes. So did State Assemblyman Nathan Fletcher who recently threw his hat in the ring for the upcoming San Diego Mayoral race. Some argue that helping our troops is not a men’s rights issue. The New York Times in June of this year reported in the article, “For Soldiers, Death Sees No Gender Lines“, that 28 American female soldiers have died in Afghanistan. As reported by the Huffington Post “[a] least 1,295 military service members have died in Afghanistan as a result of hostile action, according to the military’s numbers.” Assuming 28 of the 1,295 casualties were female soldiers that leaves 1,267 American male soldiers in body-bags. None of which includes the thousands of wounded. If this isn’t a men’s rights issue then what is? I find it incredible, though not surprising, that the New York Times, or any reputable media source, can run an article about 28 war deaths just because they are women but not a similar article about 1,267 war deaths because they are men. Adding insult to injury the jerks title the article “For Soldiers, Death Sees No Gender Lines”. Really? I guess New York Times reporters and editors are not required to learn basic math. I don’t know about you but something seems a bit unbalanced if not gender biased here. Regardless of gender and politics, those who died or were injured wearing our uniform deserve to be honored. However, we need to spend more time remembering the thousands of military men we lost to war. Is that unreasonable; or, are men simply disposable like yesterdays newspaper? That's Olivia and Dynamo/Pomeranian from Independent Therapy Dogs, Inc. Whether they are American troops or from other countries it is men primarily doing the dying. Women and children are not the greatest victims of war. The greatest victims of war are the dead ones, the vast majority of who are men.